The PM said there was a "stark choice" of either leaving the European Union with a deal or not leaving at all. 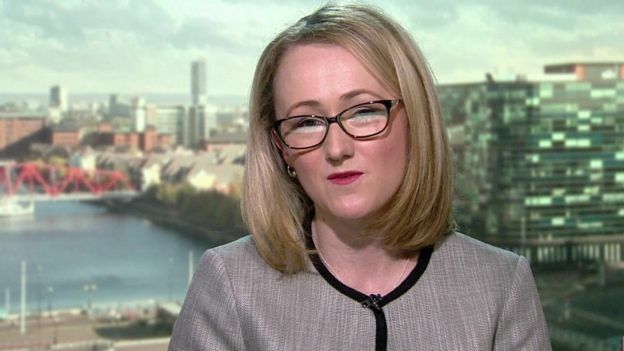 But shadow business secretary Rebecca Long-Bailey says if no-deal became an option Labour would consider "very strongly" voting to cancel Brexit. Some Tories have criticised the PM for seeking Labour's help on her deal. MPs have rejected Mrs May's Brexit plan three times and last week's talks between the two parties were aimed at trying to find a proposal which could break the deadlock in the Commons before an emergency EU summit on Wednesday. However, the three days of meetings stalled without agreement on Friday. Labour leader Jeremy Corbyn said he was "waiting to see the red lines move" and had not "noticed any great change in the government's position". He is coming under pressure from his MPs to demand a referendum on any deal he reaches with the government, with 80 signing a letter saying a public vote should be the "bottom line" in the negotiations. In a statement issued on Saturday night, Mrs May said after doing "everything in my power" to persuade her party - and its backers in Northern Ireland's DUP - to approve the deal she agreed with the EU last year, she "had to take a new approach". "We have no choice but to reach out across the House of Commons," the PM said, insisting the two main parties agreed on the need to protect jobs and end free movement. 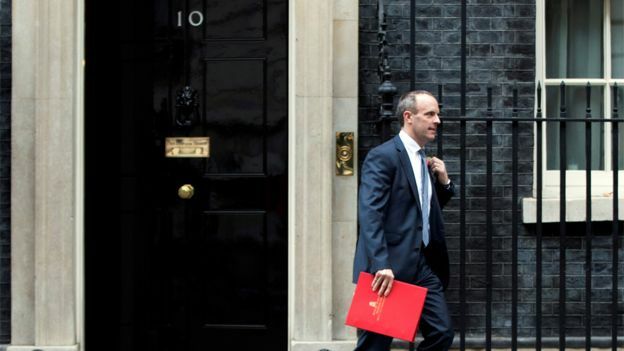 Ms Long-Bailey, who was involved in Labour's meetings with the government, told BBC's Andrew Marr Show that the party was yet to see the compromise proposals from the government in order to agree a deal but she was "hopeful that will change in the coming days". However, she added Labour would "keep all options in play to keep no deal off the table", including supporting a vote to revoke Article 50 - the legal mechanism through which Brexit is taking place. This week Mrs May is to ask Brussels for an extension to 30 June, with the possibility of an earlier departure if a deal is agreed. Labour says it has had no indication the government will agree to its demand for changes to the political declaration - the section of Mrs May's Brexit deal which outlines the basis for future UK-EU relations. The document declares mutual ambitions in areas such as trade, regulations, security and fishing rights - but does not legally commit either party. Downing Street has indicated it is "prepared to pursue changes" in order to secure a deal, and Chancellor Philip Hammond said on Saturday he was "optimistic" the talks could reach "some form of agreement". However, Tory Brexiteers have reacted angrily to the prospect of Mrs May accepting Labour's demands, particularly for a customs union with the EU which would allow tariff-free trade in goods with the bloc but limit the UK from striking its own deals. Leaving the EU's customs union was a Conservative manifesto commitment, and former party whip Michael Fabricant predicted "open revolt" among Tories and Leave voters if MPs agreed to it. However, Downing Street has described the prospect as "speculation". The Sunday Telegraph reported some activists were refusing to campaign for the party, while donations had "dried up". And former Brexit Secretary Dominic Raab writes in the Mail on Sunday that Mrs May's approach "threatens to damage the Conservatives for years". "There is now a danger that Brexit could be lost and that the government could fall - handing the keys to Downing Street to Corbyn," he says. Tory MP Jacob Rees-Mogg said including Mr Corbyn in the Brexit process was a "mistake" as "he is not sympathetic to the government, obviously, and is a Remainer". He told Sky News the reason Mrs May has not been able to secure the backing of all Conservative MPs was "her own creation" and because she failed to "deliver" a deal they could support. BBC political correspondent Jonathan Blake said the government would not be drawn on what it was willing to offer Labour. "No 10 described as speculation reports that it would... enshrine in a law a promise to give Parliament a say on the terms of further negotiations with the EU, as a way of stopping a new Tory leader shifting to a harder Brexit." In a letter to Mr Corbyn, some Labour MPs have pointed out that - because the political declaration is not legally binding, and with Mrs May having promised to stand down - a future Tory PM could simply "rip up" any of her commitments. Four shadow ministers were among 80 signatories of the Love Socialism Hate Brexit campaign letter pressing for a further public vote. Any compromise deal agreed by Parliament will have "no legitimacy if it is not confirmed by the public", it argues. However, Labour is split on the subject, with a letter signed by 25 Labour MPs on Thursday arguing the opposite. They warned it would "divide the country further and add uncertainty for business" and could be "exploited by the far-right, damage the trust of many core Labour voters and reduce our chances of winning a general election". The Commons Leader Andrea Leadsom argues in the Sunday Telegraph that a further referendum would be "the ultimate betrayal". "It would require lengthy delay, it would reignite the divisive debate, and since Parliament has so far failed to follow the first result, there is no reason to believe it would honour a second referendum either," she writes.